Gone are the days when beauty product-filled stockings would make our Christmas wishes come true. 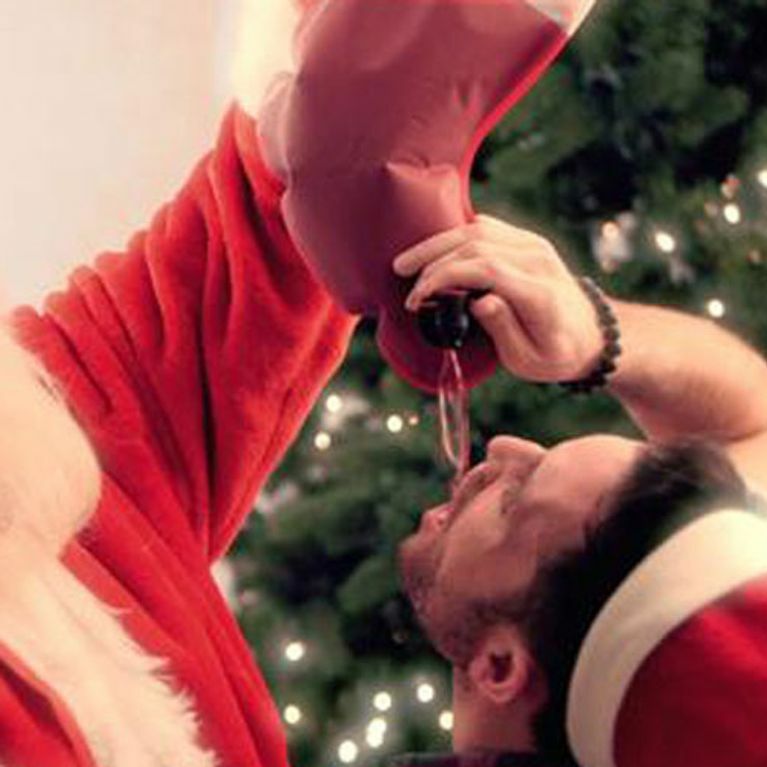 Move over make-up minis and cheap chocolates, enter: Santa's Flask i.e. the best thing to come out of 2016. Stop the press: we've just discovered the single best thing to come out of 2016, just in time for Christmas. Having resigned ourselves to remembering 2016 as the year of doom and gloom (Brexit, Bowie dying, BBC axing Bake Off etc. ), the creative geniuses at Santa's Flask are spreading much merriment, thanks to the most ingenious invention, arguably of all time. The humble Christmas stocking has been elevated to useful new heights with this plastic, red and white version boasting a tap that pours wine (or any other drink) of your choice straight into your mouth (if you're that way inclined). What a time to be alive. You will never have to fake 'aw thanks so much, I love it' on Christmas morning ever again and can instead guzzle yourself giddy with this festive feature we're calling a must-have. Just think how much more bearable 24hrs locked up indoors with your beloved family will be with the moral support of your own personal wine dispenser. And how much money you'll save by pre-drinking at home before the obligatory boozy Christmas Eve and Boxing Day nights out. Santa's Flask can hold an impressive amount of your favourite seasonal tipple - 2.25 litres to be precise, that's three full bottles of wine - so there's more than enough to go round. Sharing's caring and all that. They cost $14.99 and can be purchased from Amazon here. What're you waiting for? There's no time like the present. Liked this? You might also like this..